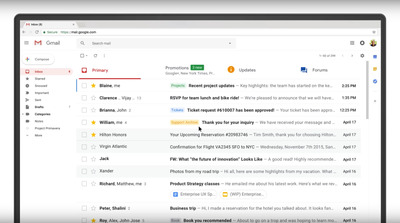 Google recently announced a massive update to its popular email platform. 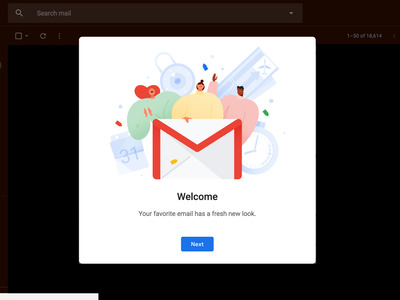 So far, it’s given personal account holders and company admins (who run company’s G Suite accounts) the choice to leave their Gmail inboxes as-is, or to opt in to the new Gmail, which comes with a new look and a lot of new features. If they don’t enjoy the experience, users and admins are welcome to opt back out. That’s no longer going to be the case in a matter of months, as Google announced in a post to its G Suite blog on Tuesday. 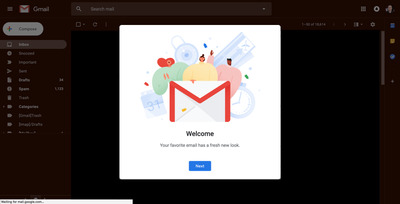 Users attached to the “old” Gmail and companies wary of the changes will have to get on board, because Google will be pushing the update on all users over the course of the next few months. Currently: The new Gmail is only available to users and companies participating in the Early Adopter Program. 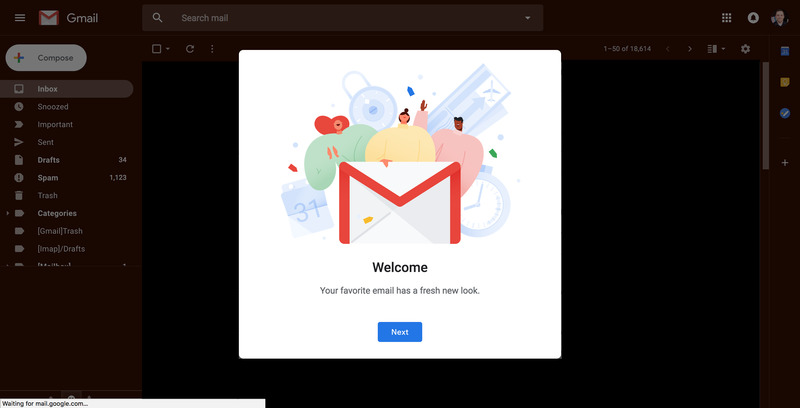 “We encourage you to begin testing the new Gmail and preparing your users now,” Google says in its blog post. If you want to get ahead of the curve, opt into the program by going to Settings, checking “Enable experimental access,” and hitting Save at the bottom. After a few hours, “Try the new Gmail” should be the first option under the Settings cog. Opting out is done the same way. 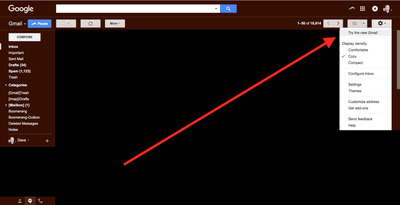 July: The new Gmail becomes available to the general public. 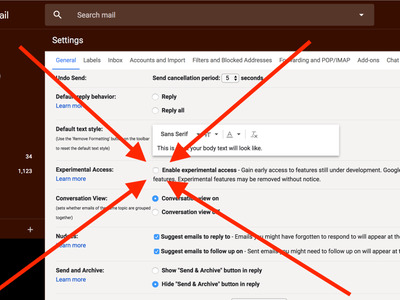 All personal account holders and company admins will start to see “Try the new Gmail” under their Settings. And if you’re one of those people itching for the upgrade on your work account, here’s when things might start to change for you. 1. Transition employees immediately, but give users the choice to opt out. 2. Allow everyone to opt in whenever they want. 3. Stall for four more weeks, at which point it will no longer be in your control. August: All users, including individuals with company accounts, will have the choice to opt in. Admin decisions no longer matter, and everyone is able to opt in and back out, freely. September: Anyone who hasn’t opted in will automatically be switched over. It’s a trial-by-fire method, in that Google will be pushing the new Gmail on users who either weren’t aware of the upgrade or didn’t care enough to give it a shot. Users will still have the choice to opt out, though. October (about 12 weeks after it’s available to the general public): No more opting out. 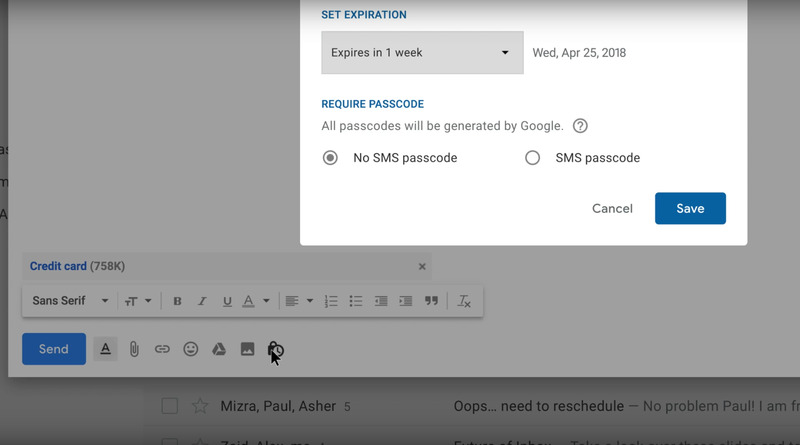 Any account holder not using the new Gmail at this point will automatically be switched back to the new version, and the choice to opt out will be removed completely. For organisations that haven’t transitioned yet, the more sensitive settings (like confidential mode) will be off by default to prevent any company compliance issues. But all employees, like all personal users, will now be forced to adjust to the new look, layout, and features. 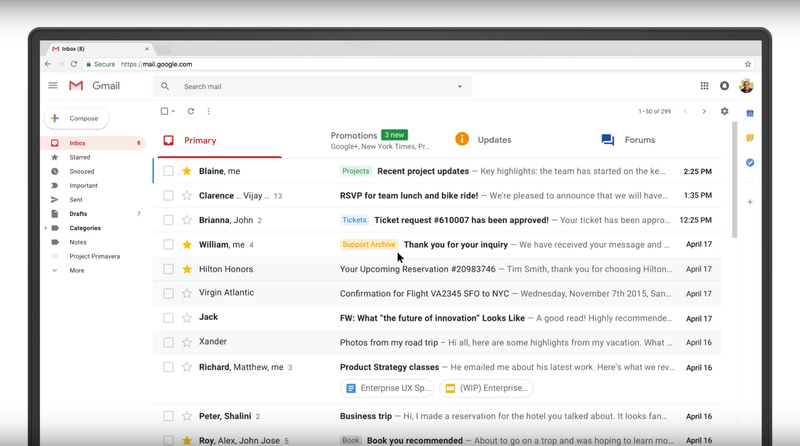 You can learn more about the Gmail redesign here.